This is a nursing home negligence case filed by a man residing in Montgomery County, Maryland who suffered a fall that caused neck fracture. This case was filed in Health Claims Arbitration on August 9, 2016, and it is the 392nd medical malpractice case filed in Maryland in 2016. Plaintiff becomes a resident at defendant Woodside Center (a Genesis Center) nursing home. He has a significant past medical history, including complications from an inguinal hernia repair surgery, a perforated viscus, removal of right inguinal mass and drainage of a right groin abscess, ileostomy, sepsis, respiratory failure and dysphagia, and deep vein thrombosis. Upon being admitted to Woodside Center, a physical exam is done, which concludes that he is bowel and bladder incontinent, in need of assistance for daily activities, and is at risk for falls and delirium. The same day he is noted to suffer from episodes of confusion, and the following day a speech therapy evaluation shows multiple behaviors that impact the resident's safety, such as poor insight regarding behaviors and denial of difficulties. The plaintiff is again documented as a fall risk. An RN and LPN note intermittent confusion, anxiety, very poor vision, and episodes of forgetfulness for the next two days. A plan of care is developed for him, which, despite all the mentioned symptoms, does not include any fall prevention measures. That same day, plaintiff falls from his wheelchair to the floor. He tells the staff he has left hip pain, and an ambulance is called. As a result of the fall, he sustains a displaced left femoral neck fracture requiring surgery. 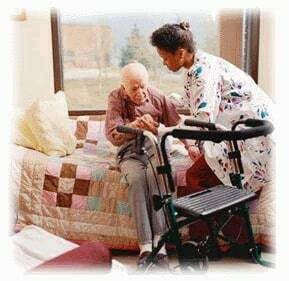 He brings a nursing home fall lawsuit against the nursing home and Genesis, alleging that as a result of their breaches of the standard of care, he suffered serious bodily injuries, mental anguish, disability, inconvenience, and discomfort. He alleges that he will continue to suffer permanent functional limitations. The last nursing home case filed in Maryland before this claim was a fall case against a big national nursing home chain filed on the eve of the statute of limitations without a certificate of merit. The exact same is true for this case. The one big difference is that last case has filed against a nursing home with a record of mistakes. Woodside is probably the highest rated Genesis nursing home in Maryland. It is never advisable to file a medical malpractice or nursing home case on the eve of the statute of limitations. Physical deconditioning, malnutrition, dehydration, impaired vision, neurologic problems, trouble balancing and slower reflexes all increase the risk of falls. Neck fractures are a common nursing home fall injury. Femoral neck fractures are more common in white women than in other patients because of the increased prevalence of osteoporosis in tins group. Traumatic femoral neck fractures can occur in with elderly nursing home patients even after seemingly trivial falls or twisting injuries. Have you or someone you love been harmed or killed by a nursing home? Our law firm can help you get the justice and compensation you deserve. Miller & Zois has a history of getting results in medical malpractice and nursing home cases in Maryland, earning many 7 figure verdicts and settlements. Call us today to speak to a nursing home negligence attorney who can help you at 800-553-8082 or get a free online case review.